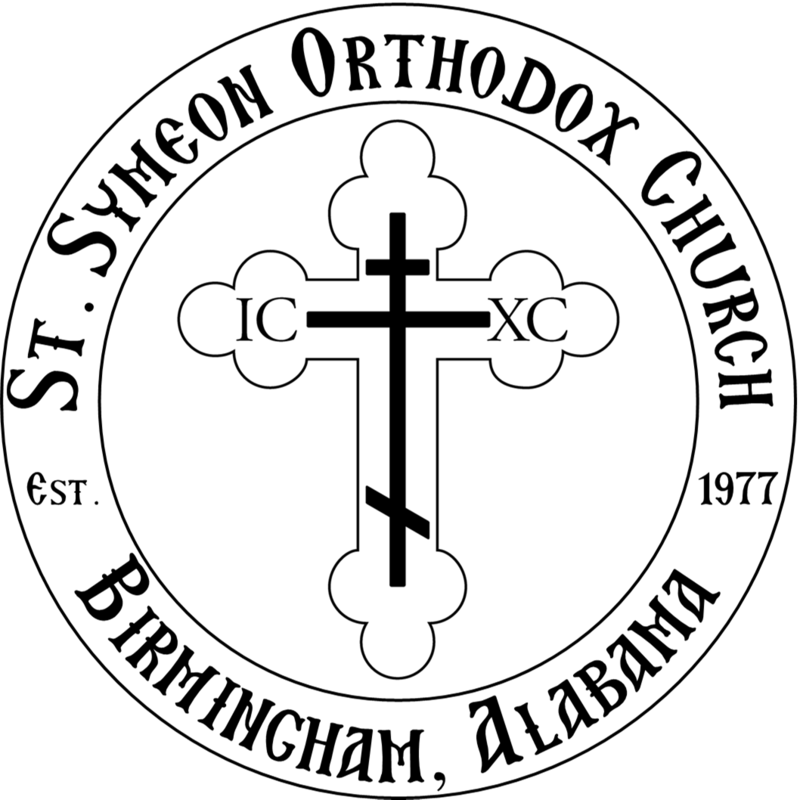 St. Symeon the New Theologian Orthodox Church of Birmingham, Alabama is a parish of the Diocese of the South, Orthodox Church in America. We are under the episcopacy of His Beatitude, the Most Blessed TIKHON, Archbishop of Washington, Metropolitan of all America and Canada, and His Eminence, the Most Reverend ALEXANDER, Archbishop of Dallas and the South. Our parish Rector is Archpriest Alexander Fecanin. St. Symeon Orthodox Church was founded in Birmingham in 1977. The present church building was built in 2014. Some of our members are "cradle" Orthodox of Russian, Romanian and Greek backgrounds, but the majority are converts to the Orthodox faith. 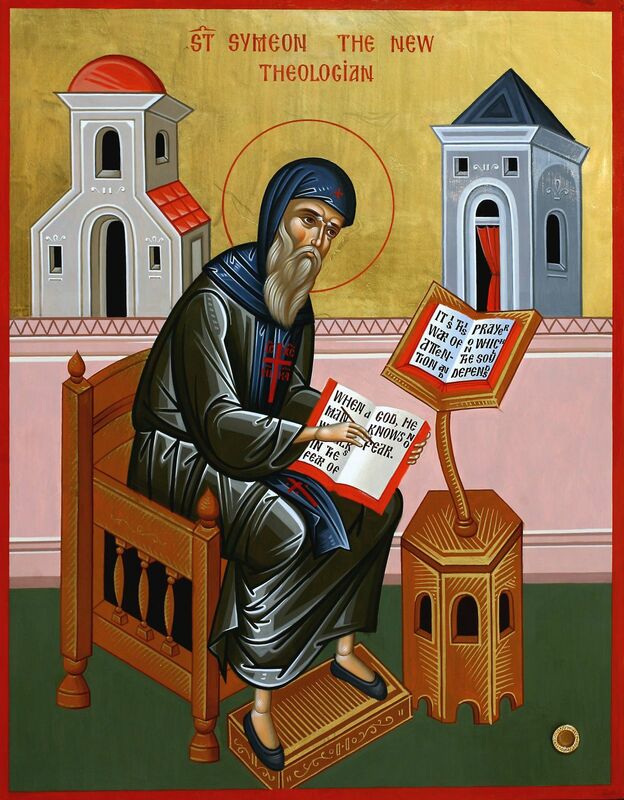 Our Parish is named after St. Symeon the New Theologian, who was the abbot of St. Mamas Monastery in Constantinople. He is one of three great Fathers whom the Orthodox Church has granted the title of "Theologian", because he is one of a few, in the history of Christianity, to 'know' God. The other two Theologians are St. John the Evangelist, and St. Gregory of Nazianzus (390 AD). St. Symeon was born in Galatia in Paphlagonia (Asia Minor) in 949 AD. His parents, Basal and Theophana, were Byzantine provincial nobles. St. Symeon received only the basics of a primary Greek school education until he was about eleven years old. He finished his secondary education at the age of 14 in the court of the two brother emperors Basil and Constantine Porphyrogenetes. At 14, he met St. Symeon the Studite, who became his spiritual father and who led him into the life of asceticism and prayer. Although he wanted to enter the famous monastery of the Stoudion at the age of 14, his spiritual father had him wait until he turned 27. During this period of preparation, St. Symeon's elder continued to counsel and guide him, preparing him gradually for the monastic life even in the midst of worldly cares. St. Symeon occupied himself with the management of a patrician's household and possibly entered the service of his emperor as a diplomat and a senator. While 'busy in the world' he also strove to live a monk's life in the evenings, spending his time in night vigils and reading the spiritual works of Mark the Hermit and Diadochus of Photike. One of his elder's advice was, "if you desire to have always a soul-saving guidance, pay heed to your conscience and without fail do what it will instil in you". There are many books, in English, on the wealth of work by St. Symeon. These include "Symeon the New Theologian, the Discourses" translated by C. J. deCatanzaro for Paulist Press; "The First-Created Man, Seven Homilies" translated by Fr. Seraphim Rose for St. Herman of Alaska Brotherhood; and "St. Symeon the New Theologian, Life-Spirituality-Doctrine, in the Light of Christ" by Archbishop Basil Krivocheine for SVS Press. His writings grew out of his preaching and from the spiritual direction given to those under his charge. He is a writer sharing his experiences in prayer and the Triune. The monks of Mount Athos eagerly read his works today, in this Century's spiritual renewal. His works are also being discovered by the Roman monasteries, as they start to comprehend to wealth and beauty of his writings and personal experience. St. Symeon's words still speak to us today, even though he lived a thousand years ago. Of special note is his emphasizes to return to the essence or spirit of the early Orthodox Church, and not merely depend on or shelter under the outward forms of Church life. His burning conviction is that the Christian life must be more than just a routine or habit, but rather it should be a personal experience of the living Christ. St. Symeon urges both monks and baptized laity back to a living spiritual experience of the Triune, calling himself the "enthusiastic zealot" who has personal, mystical experiences. His spiritual emphasis is, however, misused by many 'charismatic Christians' and others today who claim to have "gifts of the Holy Spirit," which are probably emotional or 'scholastic' rather than spiritual.